There are two species of carpet moths found in the UK, the Carpet/Tapestry Moth and the Case Bearing Carpet Moth. The Carpet/Tapestry Moth - these are very small moths with a wing span of around 14-18mm. 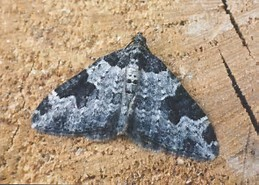 Adult moths are seen from April to October and have a very distinctive appearance with a dark grey-brown stripe across the top of the body which stretches half way down their fore wings. The rest of the body and hind wings are a very pale grey-beige. 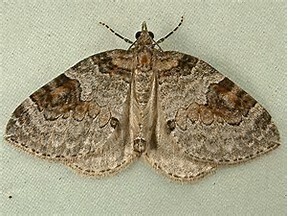 Adult moths lay their eggs in the darkest areas of a carpet. Under furniture, behind curtains and skirting boards are all ideal sites. The larvae are much more difficult to spot as they are able to change colour depending on what they eat. They are very often the same colour as your carpet as a result of ingesting the dye. The larvae do not only feed on carpet, but will also feed on clothing, fur, animal skin and any textiles or upholstery with natural fibres. 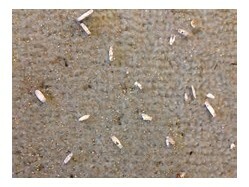 Case Bearing Carpet Moths - these are very small moths, around 5mm in length with a wing span of between 9 - 16mm. Adults have yellowish-brown forewings with three darker dots on each wing. Hind wings are pale grey and fringed with hair. 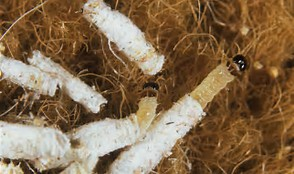 The larvae are opaque white with brown heads. They weave a silken case around itself as it grows which then seals when large enough to allow the larvae to pupate. A pupating larvae looks like a grain of rice and are likely to be found in dark corners or under furniture. Carpet Moth infestations can be extremely difficult to detect until damage has already taken place. 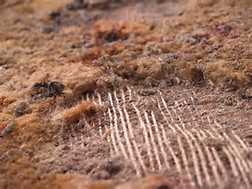 Signs of a carpet moth infestation include threadbare patches in carpets, holes in clothing and damage to any textiles or upholstery with natural fibres. Discarded larval cases may also be spotted. 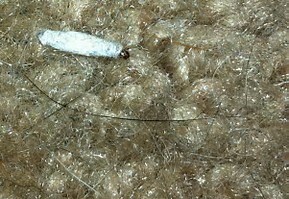 The larvae feed on keratin in natural fibres and can cause damage to carpets, silks, rugs and expensive clothing. The larvae can also feed on cobwebs, bird nests and other natural materials. Why do I have Carpet Moths? Carpet Moths are now able to reproduce all year round due to homes and buildings being centrally heated. This means that carpet moths are able to breed in far greater numbers than before. Cluttered wardrobes and drawers where garments are pressed tightly together allow moths to cross infest different fabrics. Moths can also be brought into the property via second hand clothing and upholstery. Stained clothing from sweat, dried in food particles and oil from make-up or hair products can also attract carpet moths to your home or business. How serious is a carpet moth infestation? 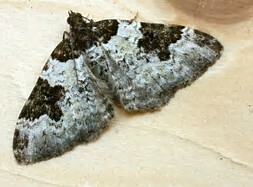 Carpet moths do not carry disease and do not bite so are therefore not considered a risk to human health. 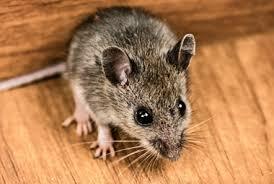 However they are a nuisance pest due to the costly damage that they can inflict. As an infestation can be difficult to spot, the damage that they can cause can be extreme and very costly. Can I treat a carpet moth infestation myself? Due to the difficulty in identifying a carpet moth infestation and the knowledge required regarding preferred habitat location, it is recommended that a professional pest control company is contacted. Here at Bradford Pest Control our technicians are fully trained and knowledgeable in carpet moth treatment and have access to the best professional use tools and products, ensuring that our service is carried out quickly and safely. 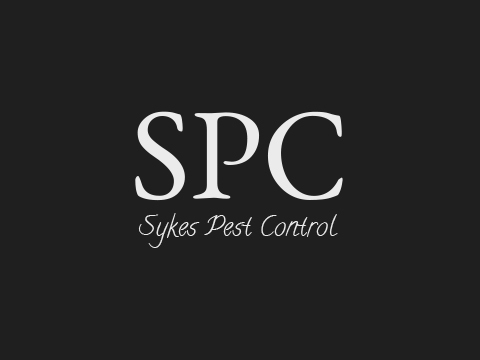 Upon making contact with our professional pest control team, an appointment will be at your convenience to visit your home or business premises. On completion of the inspection and an assessment of the situation the technician will recommend the best cause of action to get rid of carpet moths. Our technician will use the best tools and professional use products to resolve the carpet moth problem safely, ensuring peace of mind for you and your family or business. 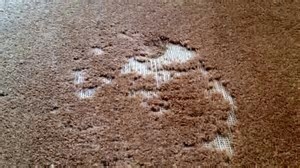 Do I need to do anything before carpet moth treatment? All we ask is for you to ensure that all floor covering has been vacuumed thoroughly and rooms at risk of infestation are free of clutter. After the treatment has been completed we will ask you to refrain from vacuuming for at least 10 days. Please note: If these steps are not followed you risk further carpet moth infestation to your property.